What is making guar seed / guar gum to jump up high. During this trading month guar has climbed more than 25-30 %. It has given return of 25%-30 % within one month. Prices of guar seed is about to touch Rs 4000/100 Kg in physical market and prices of guar gum is about to touch 8500/100Kg. Almost guar has gained 30 % from level of Rs 3000/100Kg and guar gum has gained 41% from the level of Rs 6000/100Kg. This year production of guar was very low in comparison to last years. It is estimated that there was production of 80,00,000 Bags during last cropping season. This production was not sufficient for the annual demand. Carry over stock is helping to meet demand of guar for this year. If prices remain below INR 4000/100Kg then cultivation of guar seed will be down in next cropping season. 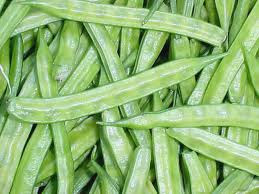 While discussing with market men it was found that arrival of guar is very low in market and it is expected to remain low specially in two months. Farmers will busy in their farm operation in this month and traders will start to trade in Rabi commodities. There will be problem in smooth supply in markets. 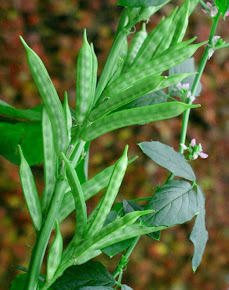 Manufacturers are facing shortage of guar seed for processing. Crude oil prices were also stable over USD50/ barrel during last months and it was a good support for guar in long term to be in bullish trend. There is also news that shale oil production is high in USA. Trump administration is also positive about the increase in shale oil production. Export data are positive during last two month. On an average, there is export of 35000 MT guar gum export in one month during last three months. Which was dropped up to 20000Mt/Month during December 2016. There is some news that stock of guar in Housten / Texas is also low. Export to Other countries is also increasing. Another major demand is coming from Russia. Export data of food grade guar is positive. 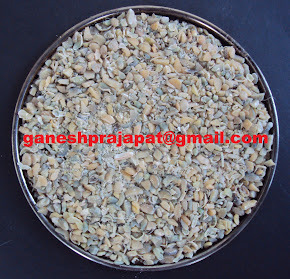 There is regular demand of food grade guar from European countries. Guar plants are running. Technically Guar is not shining, it is recovering from down fall. It will remain in recovery trend up to 4500/ 100Kg. After that we can consider some positive movement. Guar gum need more recovery as per current prices guar gum must be around 10,000/100KKg but it is still below 9000/100Kg. Last year guar seed was arrived at 4500/100Kg and this year it started from 3500/100Kg. If we calculate the cost of commodity + Interest on Capital + Loss of moisture + Storage expenses of Guar seed then guar must be around 4500/100Kg. Last year carry over stock is costing 4500/100Kg as raw commodity and other expenses are double. If current prices will be demand driven, then prices of gaur must be higher than 4500/100Kg (an average of fresh crop and carry over stock) and guar gum must be around 10000/100kg. Weather data of Monsoon prediction are negative and rainfall is expected to remain late and lower than average and there rumor of poor production in next cultivation season. But technically If there will be delay in Monsoon then guar production area will increase as cultivation are of other commodities will shrink in western Rajasthan. Crude prices in international market will decide long term positions of Guar. Geopolitical situation is stable in comparison to last year but it is not improving. It expected to remain plunged and it will be not investment friendly. Market men are looking speculative movement in guar. It is best time to manipulate the demand & prices as supply is tight and export is positive. March Delivery in NCDEX will decide the further price movement. Please avoid the short-term positions.